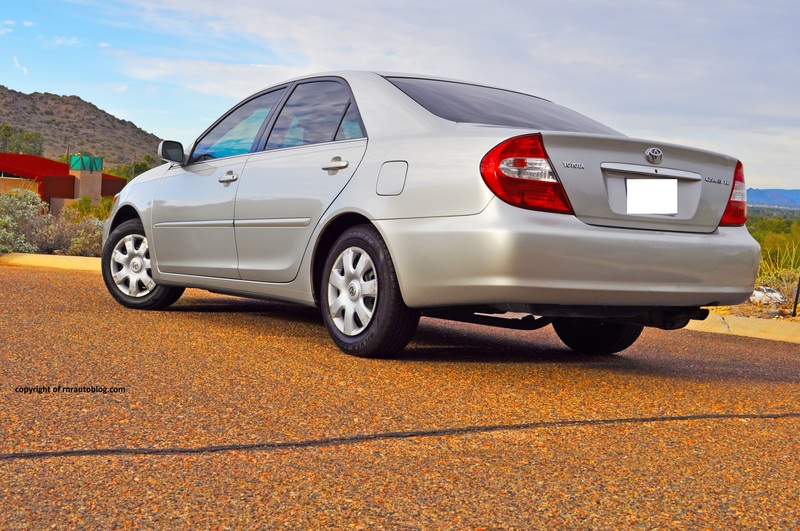 You guys are probably wondering what is a Toyota Camry, one of the dullest cars on the market, doing on this automotive blog? Well, let me shed a little light on the situation. This car is special to me, because we bought this car brand new when I was in kindergarten. This car has been there for our family as long as I can remember. At 143,000 miles, the Camry is still running strong with no problems, despite the notable scratches and dents that we never bothered to repair. Toyota poured $1 billion into developing the Camry and this was the result. 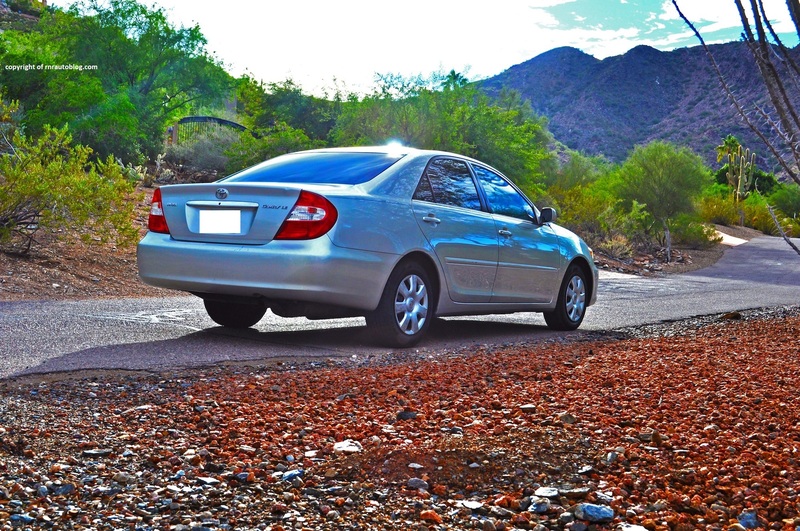 Toyota Camrys have always been known for their combination of reliability, comfort, and practicality, and this Camry is no different. It is America’s best selling car, and within good reason. 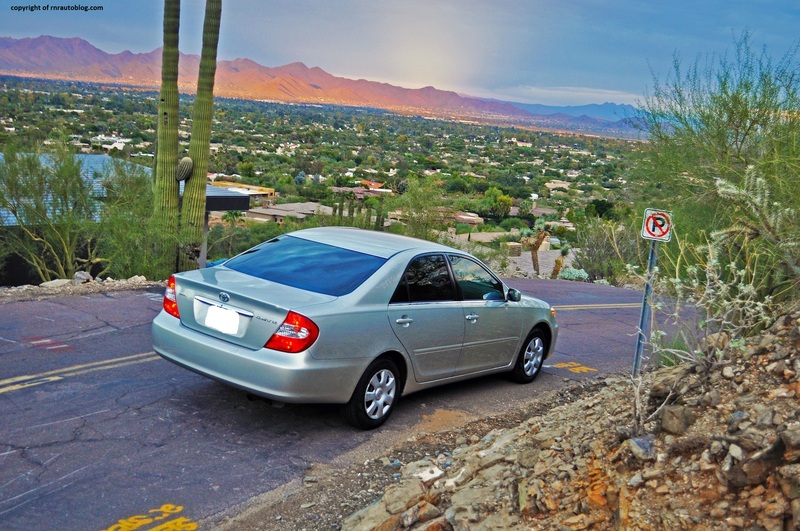 The Camry is a paragon of practical point A to point B transportation. 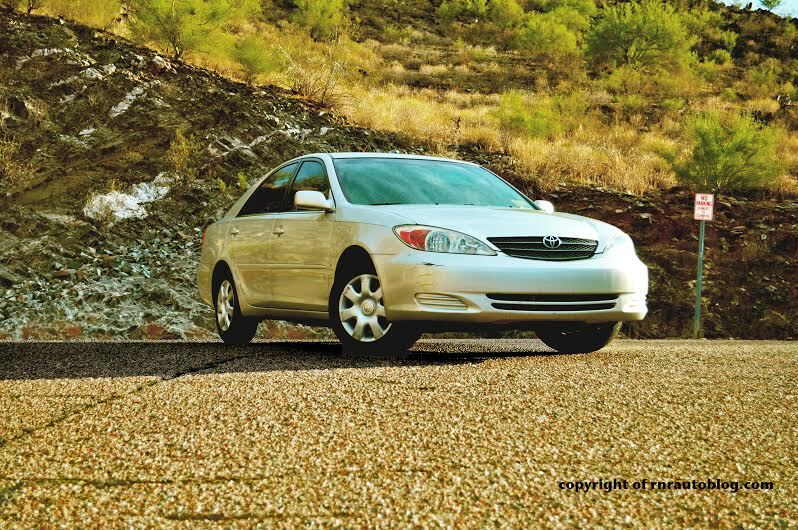 Styling wise, the Camry has a very bland essence to it. But the styling does have some feminine touches to it. The body is free of any curves or character lines, but there is a slight belt line. The front is purposeful with a chrome grill accentuated by sweeping headlights. With the flanked taillights, the rear is as clean as it can be. This LE version comes with plastic wheel covers, which are prone to getting scratched easily. Overall the styling is bland, but purposeful. It is clean and feminine shaped. One styling detail I like is the use of chrome. The chrome is strategically placed on the trunk, the windows, and the grill, giving a hint that this car is good quality. The interior is purely functional over form. The controls are intuitive. The knobs for the air conditioning and the buttons for the radio are large enough to operate them with gloves on. The gauges are clean and simple, with attractive white lighting. That’s not to say this car feels sparse inside. The interior has soft touch padding on the dash and on the doors, and the seats are made of quality cloth. 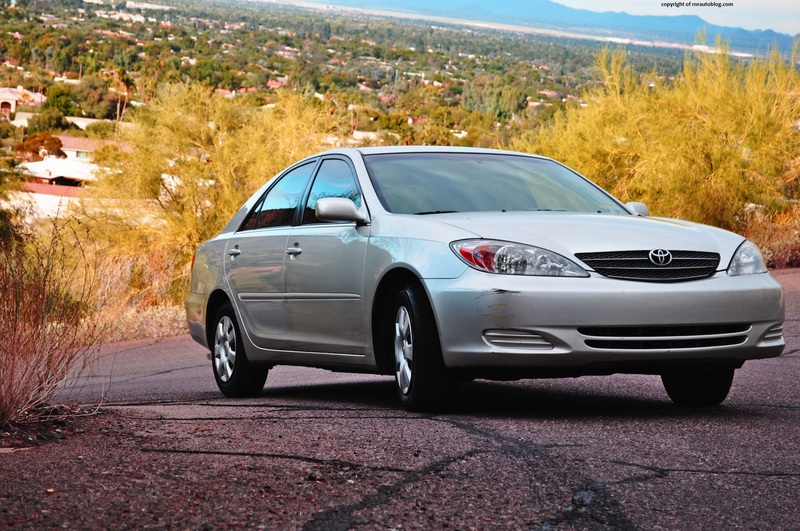 Dull is the right word to describe the Camry when it comes to handling. Handling is not this car’s forte. This car lurches, squeals, and whines at the sight of a turn. Tire grip is lacking. The suspension is super soft. It is so floaty that every time you brake a little hard than normal, the car jerks. The brake pedal is spongy, and you really need to depress it harder than normal to achieve actual braking. 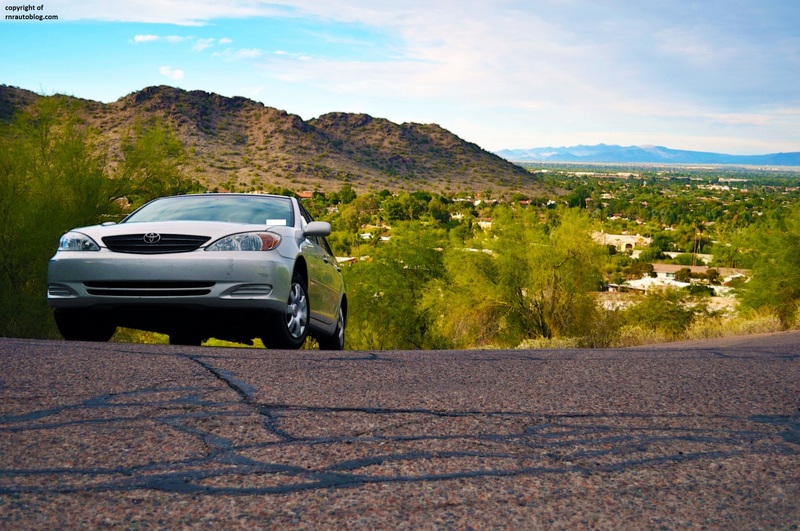 Whenever you want to change direction, the Camry responds with dramatic body lean. The Leaning Tower of Pisa has crossed my mind many times when it comes to describing the body lean. The steering is super light, and there are times when I am unsure if it is connected to anything. It is overassisted, and the steering lacks feel. The steering is quick, and it is reasonably accurate. However, bumps easily upset the steering, affecting the car’s composure. The upside of the handling is fantastic ride quality. The suspension filters out all the bumps in the roads, and the interior is very quiet. The only noise audible is the engine. The engine grumble is always present but it is never intrusive until you reach highway speeds. Characteristic of a four-cylinder engine, the engine is boomy at 3,000 rpm-4,000 rpm, but past that, it sounds agricultural. But then again, most Camry owners don’t drive like a bat out of hell. Wind and road noise in true Toyota form are impressively hushed. 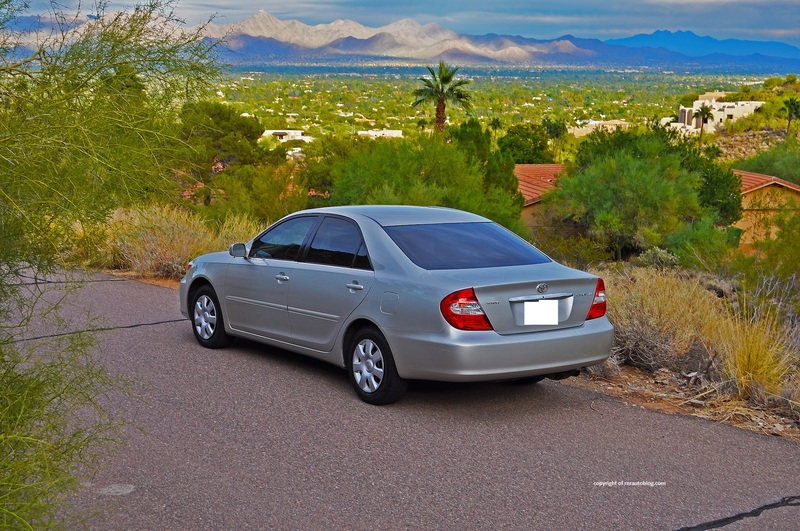 Overall, this car will get you to where you need to go in a civilized manner. Just don’t expect any enthusiasm from this car. The 2.4 liter four cylinder engine pumping out 157 horsepower and 162 pounds of torque feels more stronger than you would think. 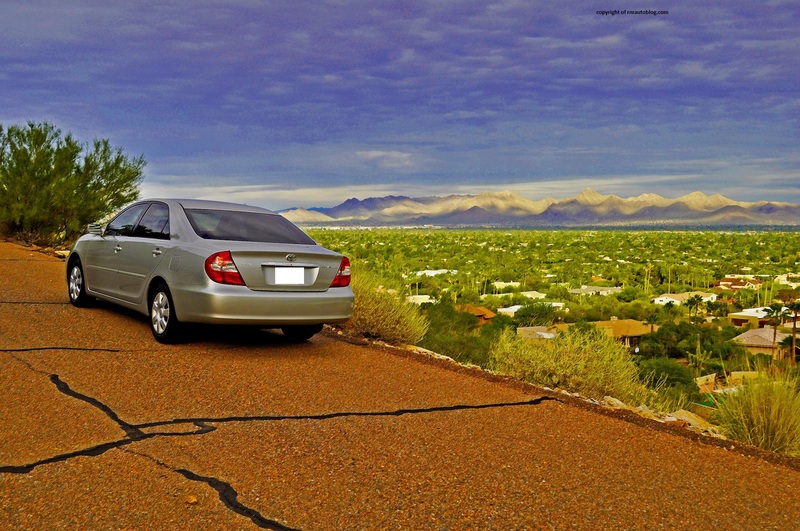 It may not be as quick as the latest Nissan Altima or Honda Accord, but the Camry holds its own. It has decent pickup power, and power is fine for most situations. Engine response is linear, and there always seems to be power in reserve at any engine speed. The four-speed automatic transmission complements the engine well, and executes shifts without any delay. The only flaw of this automatic transmission is that at speeds past 60 miles per hour, the transmission has the engine revving at least 3,000 rpm, exacerbating engine noise. (Most cars nowadays have the engine speed at 2,000 rpm in order to reduce engine noise, and increase fuel economy). Good thing the 2005 refresh included a five-speed automatic transmission. It is also fuel-efficient with 24-26 mpg overall possible. No matter how hard I would drive this car, the gas needle did not move. I gotta say, Toyota knows how do to powertrains. Getting in and out of this car is easy, and cabin space is plentiful. It is easy to get comfortable in this car, and the roofline allows for generous headroom in both the front and the back. Trunk space is ample, and we had no trouble filling this car up with a family’s worth of luggage. Equipment level is respectable, considering that this is the basic version. You get power windows, power driver’s seat, all the necessities, and nothing more. One thing worth mentioning is that there is no lumbar support on this trim, and there is no telescoping wheel available which might hamper the driving position for some. I can see why this has been America’s best selling car for a number of years. Is it boring? Oh god, yes. I remember when I drove this car for the reminder of my permit, I always ended up feeling sleepy after driving this car. But there is no denying that this is a genuinely good car, because it does so many things well. Affordable, well-made, roomy, reliable, comfortable, fuel-efficient. These are the qualities most people are looking for in a car. So yeah, it’s not a driver’s car, and it does lack the ‘gotta have it’ factor, but I appreciate this car, because it is a properly well-designed car. And at 143,000 miles, it is ridiculously reliable. I feel this particular Camry was the peak of the Camry lineage, as the later models started slipping in reliability and quality. Anybody remember the infamous Toyota recalls concerning the later models? 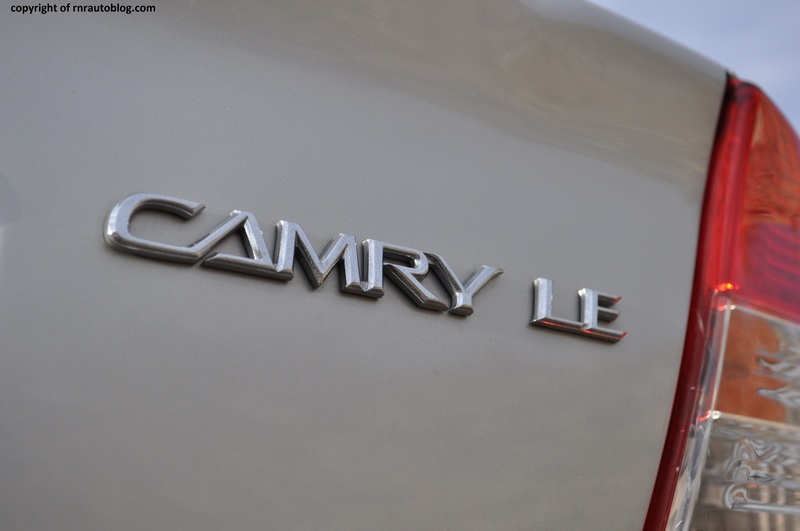 I am not a fan of the latest Camry because it is bordering on the ugly side of the bland spectrum, and after having driven a 2013 Camry XLE, it is not as well-made or comfortable either. Also, there is no manual transmission available in the latest Camry. Toyota has to rely on heavy incentives just to keep the Camry in best seller status, as the latest competition has caught up. 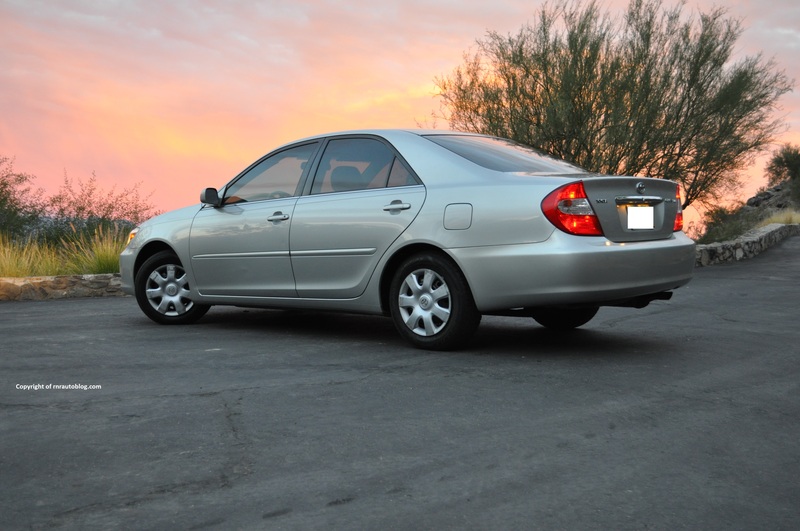 If Toyota wants to make the Camry relevant again, they should look at the 2002-2005 Camry. In my opinion, this car is easily the best Camry. Would I buy this? I am more of an Accord or Mazda6 person, but for anyone in the market for a used family sedan, this Camry is a solid choice. These pictures were edited by my friend Y. Sivakumar.